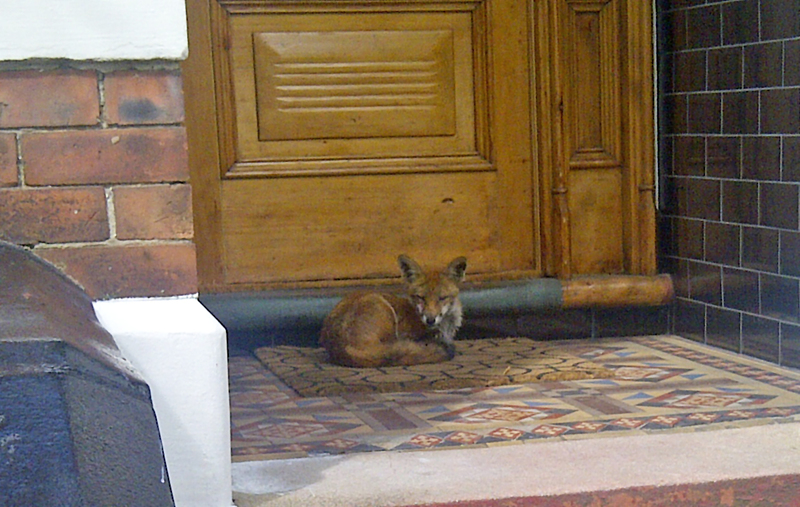 I was emailed this fabulous foxy picture from one of our tenants this week of a town fox taking up residence in our newly spruced up doorway. The early morning Sunday snoozer didn’t look like he much cared to let anyone in or out, I so wish I’d seen him happily curled up on the mat myself. The tenant who papped him had upgraded just last week from one block to this larger one bed flat next door, leaving my caretaker dad a little disgruntled as I think she was his favourite resident. Everything to do with her sunny demeanour and nothing to do with her summery bronzed legs, I’m guessing, ahem. It seemed everyone was following her upgrading pattern, with the roosting pigeons from next door’s much more scratty rental block (not mine!) moving from above their doorway to above our gorgeous stripped timber door and now the fox. Him, I don’t mind, the pigeons will be getting spikes up their bums very soon with some specially bought deterrent strips! 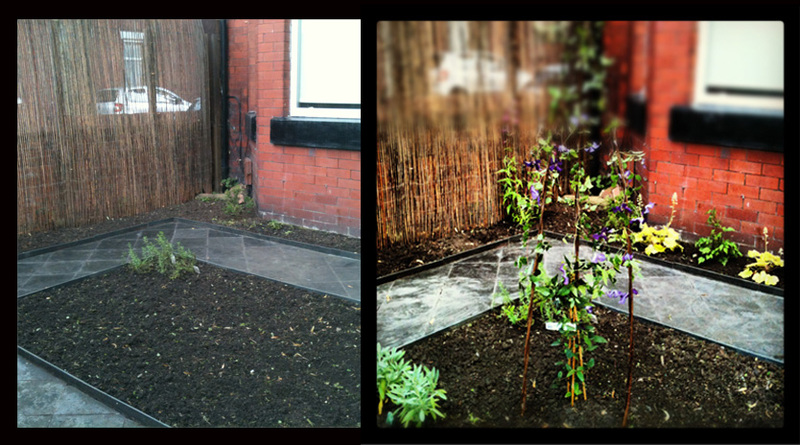 Some things have grown despite all the rain. 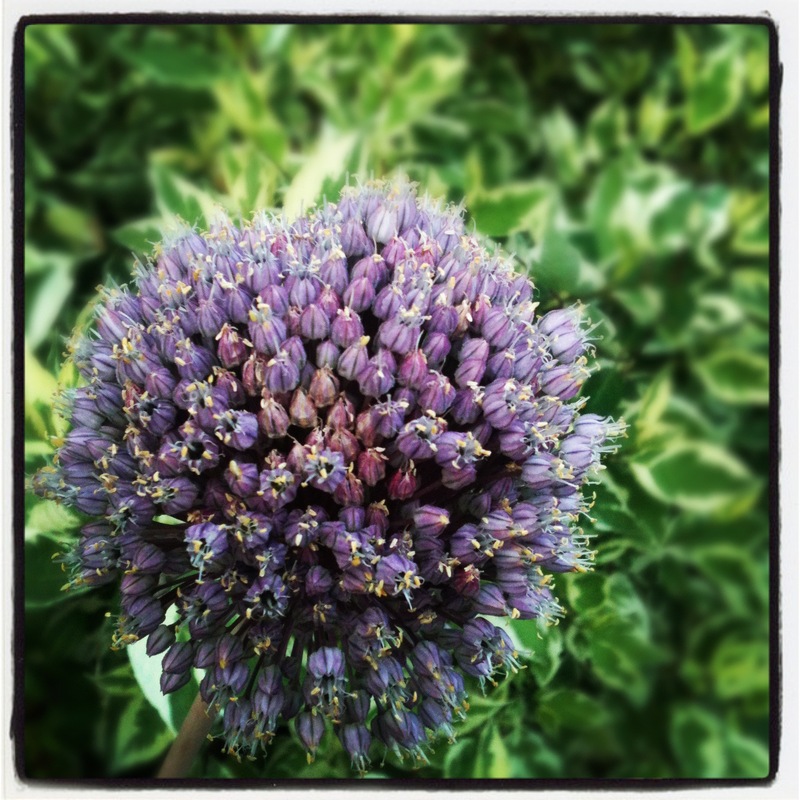 We’ll definitely be planting some more Elephant Garlic cloves just to give the beautiful heads of purple flowers like the single one I left to flower this year. I’d never planted it before and the trick is to chop the heads off to encourage the garlic bulb to flourish underground, but I left one stalk growing to see what it was like… the answer was 5ft high, a total bee magnet and fab! 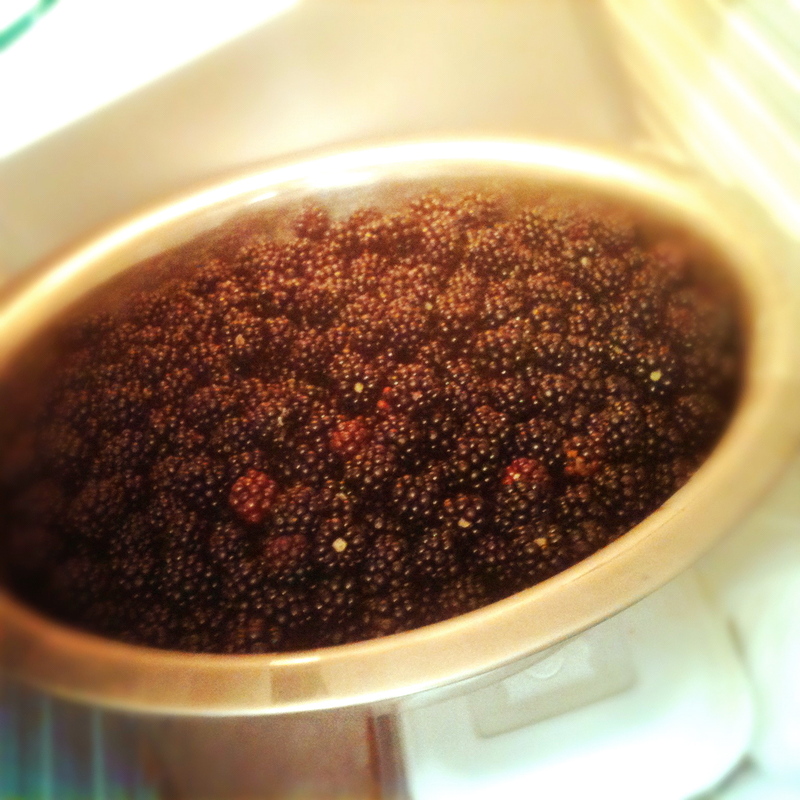 Completely inundated with blackberries too, though very early this year. Stuffed myself with blackberry crumble throughout the Olympics – body’s a temple and all that – and there’s a fresh batch coming through again this week. It’s a good job as I’ve somehow (wine o’clock) managed to sign up for Thyme Out Deli’s WestFest Bake-Off challenge. Chateau Marmot pop-up restaurant – Beef with mackerel foam anyone?